Ready now: The Green, Green Grapes of Home! 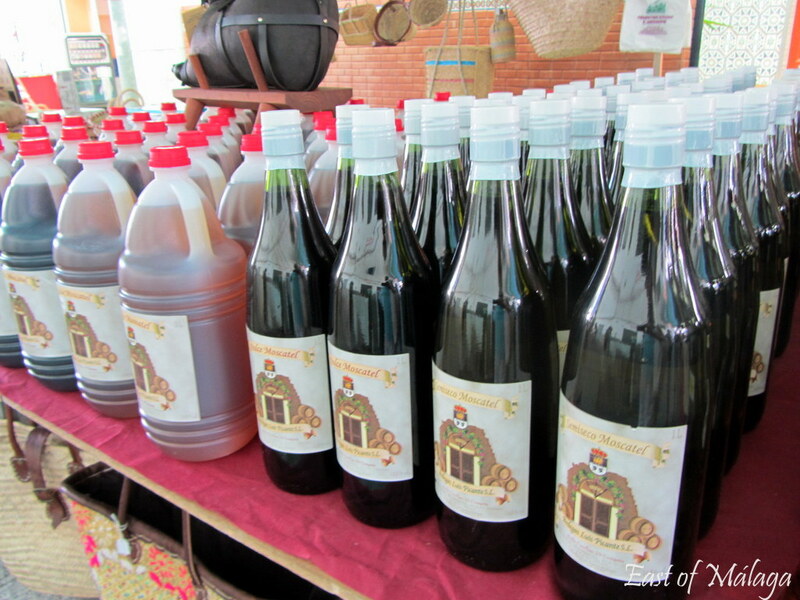 A couple of weeks ago, I told you about our visit to the white village of Cómpeta for the Night of Wine (Noche del Vino). Whilst we were there, I noticed a very interesting stall that had lots of local produce for sale. 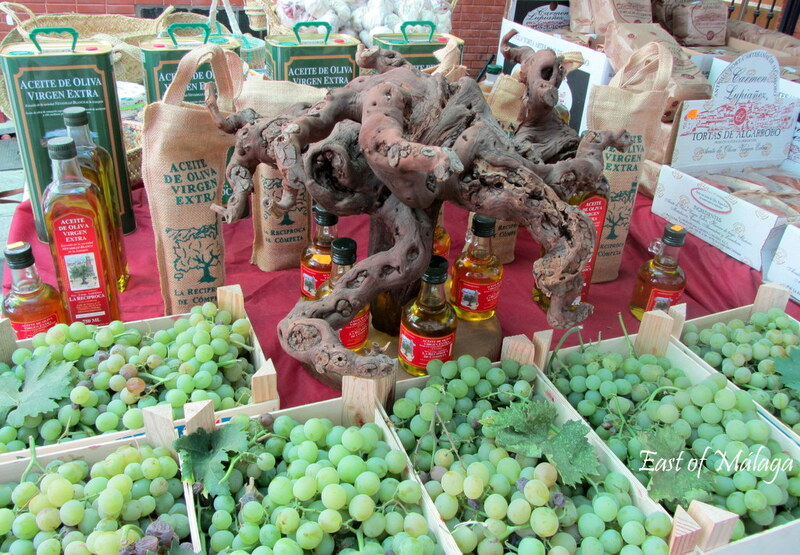 There were not only locally-grown grapes and pasas (grapes left out in the sun to shrivel and sweeten on drying beds), but also an old vine root on display along with the bottled Moscatel wine available in sweet, semi-sweet and dry varieties. Best of all, look what I´ve just picked from the vines on our land! 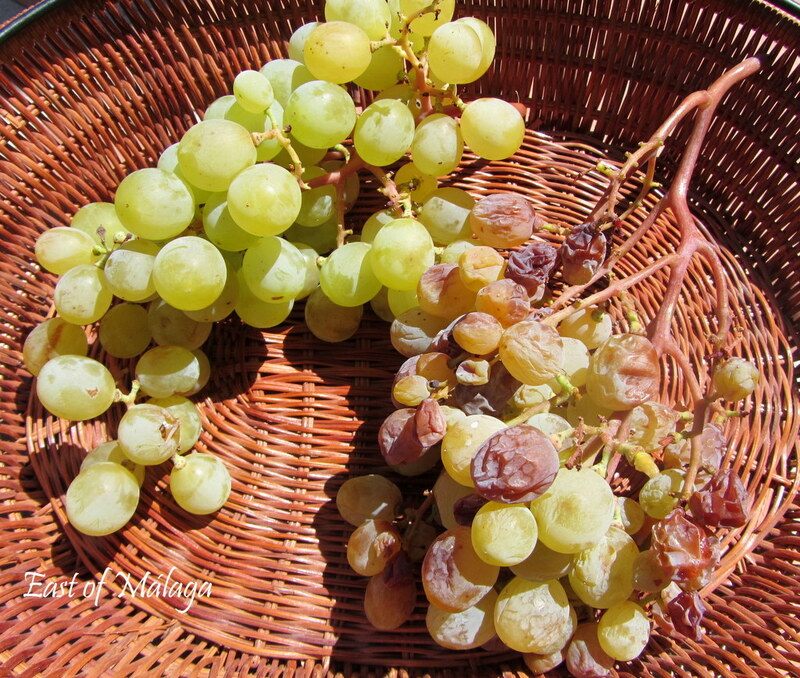 In the photograph below, you can see that the bunch of grapes on the left is pretty much as you might imagine them to look, but the one on the right has grapes that have started to go brown as they shrivel and sweeten in the sun. This entry was tagged Andalucía, Cómpeta, culture, customs, East of Malaga, Europe, Food, Malaga, photography, Spain, wine. Bookmark the permalink. You´re welcome MJ. Always glad to share! I drank this posting up! I love to go to outdoor markets and get local produce. It is always very fresh. These look like they were just picked. I can just imagine the wonderful flavor. P.S. I really like the way your photos pop with this new blog. good job on the upgrade. Outdoor markets are great, aren´t they? Always fresh, usually local and often good value too. Who could ask for more? MMMmmmmmm yum! Beautiful pics as always Marianne, and it makes me want to visit straight away. It’s going to feel like you have a stalker – everywhere you publish pics of, I go there a week later! Stalk away, Tamara. You would be most welcome alongside me, never mind a week behind! 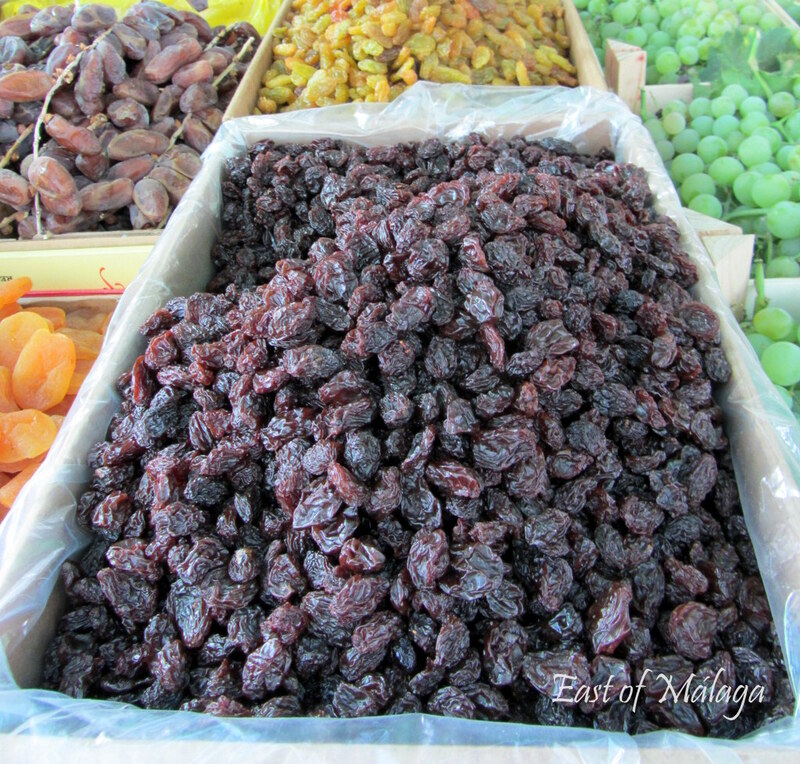 How fun to travel along with your trip to the market! that old vine is amazing! This dried grapas, Pasas?, are equally so interesting. Not having had an oppty to travel out of the states, I so enjoy seeing the world through others!! The internet is such a wonderful thing, isn´t it? Thank you for taking the time to comment, it is much appreciated. Wonderful displays they have going there! Now I want grapes…guess it’s off to the shop with me but alas, the supermarket, nothing as nice as what have going there. It’s a step in the right direction, thank you very much! *big smile* btw how big is your teddy bear collection? Too many to mention, sitting on the bed in the spare bedroom, gloating! Hehe, you addict you! Do you ever dress up like a teddy bear and join them for a picnic?